This article is an abstract from a collection of papers originating from a meeting held in 2002 on the history of hydrogeology in Britain. Further information can be found in the Geological Society Special Publication 200 Years of British Hydrogeology (Mather, 2004). In Britain many practical applications of geology originate with William Smith (1769-1839) and hydrogeology is no exception. His first known order of strata, drawn up in 1797, shows that he had a good understanding of the stratigraphic control of spring lines, as well as the significance of hydraulic head. His pupil, John Farey (1766-1826), recognised the significance of Smith's work and applied it to the sinking of deep wells, particularly in the Thames basin (Farey, 1807). The early members of the Geological Society of London were involved in the collection of facts by experiment or observation in order to provide a basis for geological theories (Rudwick, 1963). In 1818 one of their members, William Phillips (1775-1828), summarised published strata descriptions to provide an outline of the geology of England and Wales (Phillips, 1818). Although this contained little concerning groundwater, the second edition, to which William Daniel Conybeare (1787-1857) added much original material, contains a section on water and springs following each formation description (Conybeare and Phillips, 1822). Water levels in four wells over a distance of 15 miles from the River Thames to Epping are plotted on a diagram which is probably the earliest British hydrogeological cross-section. In the early part of the nineteenth century significant advances in the study of groundwater were being made in France largely as a result of the drilling of artesian wells. The term artesian was not used by Conybeare and Phillips (1822) although they described the phenomenon of overflowing wells. The term seems to have first appeared in British journals about 1823 the year in which John Farey called for the translation of relevant material published abroad (Farey, 1823). The theory behind the occurrence of artesian flow was well understood by William Buckland (1784-1856), who produced excellent explanatory sections in his Bridgewater Treatise (Buckland, 1836), based largely on French texts available in English in the 1830s. From the 1820s onwards, papers related to groundwater began to appear in the Transactions and Proceedings of the Geological Society and from 1836 in the Transactions of the Institution of Civil Engineers. Many of the published items are merely descriptions of wells or boreholes together with the strata intersected. However, in 1831 the Proceedings of the Geological Society record that a letter was read "On the Influence of Season over the Depth of Water in Wells". The work was later published in the Philosophical Magazine (Bland, 1832) and described a series of monthly observations made in a well near Sittingbourne in Kent from January 1819 to June 1831. These observations represent the first systematic British record of fluctuations in groundwater level. Bland also measured the water levels along three traverses across the Chalk and was able to demonstate that the height to which water rose in wells correlated with the rise and fall of the hills (Bland, 1832). By 1840 the construction of artesian wells and boreholes was generally understood and many had been sunk or drilled (Mylne, 1840). Many boreholes failed because they were drilled by engineers with no geological background who assumed that you could drill almost anywhere and find artesian water (see Farey, 1822). By 1840 the provision of an adequate water supply for London had become a major issue. Most parts of London were supplied either from shallow wells subject to contamination or from the highly polluted River Thames. In 1840 the distinguished engineer Robert Stephenson (1803-1859) was commissioned to identify an alternative supply. He proposed to supply north west London from a well into the unconfined Chalk at Bushey Meads near Watford in Hertfordshire. Stephenson's proposals were based on the premise that recharge was so rapid that there was little evaporation and most of the rainfall accumulated in the lower part of the Chalk forming an enormous natural reservoir from which water could be abstracted without affecting surface springs and streams. The scheme was vigorously opposed by a number of local landowners and mill-owners and in particular by the Reverend James Charles Clutterbuck (1801-1885) the vicar of Long Wittenham in Oxfordshire but a native of Watford. Pamphlets and counter-pamphlets were issued and the debate became extremely acrimonious. The debate demonstrated how significantly knowledge of groundwater had advanced since 1800. Stephenson (1841) accurately described the shape of the cone of depression around a pumping well. Clutterbuck began a series of detailed systematic observations of groundwater levels the conclusions from which were reported in a series of presentations to the Institution of Civil Engineers (Clutterbuck, 1842, 1843 and 1850). His observations enabled him to recognise the intimate relationship between surface water and groundwater, the depressed water levels beneath London caused by pumping, and the possibility of saline intrusion into the Chalk from the River Thames. He was the first British worker to apply observations of groundwater levels in a practical and innovative way to the study of groundwater flow. In 1850, Joseph Prestwich (1812-1896), later to become Professor of Geology at the University of Oxford, also became interested in the problems of London's water supply. He suggested that the Upper and Lower Greensands beneath London might provide a suitable source. His book (Prestwich, 1851) became widely quoted and used. Although the Lower Greensand had a more limited range beneath London than Prestwich envisaged, and hence never yielded the volume of water anticipated, the book presents a review of the geology of the country around London followed by an appraisal of the hydrogeological properties of the various formations and provides a map and sections which divide the strata according to their permeability (Prestwich, 1851). The map is the first British geological map to show hydrogeological information. Water quality became an issue early in the century but it was not until 1854 that John Snow (1813-1858), working in Westminster, demonstrated beyond doubt that cholera was spread by contamination of drinking water. Subsequent research showed that sewage effluent derived from a local cesspool was to blame. Snow's study represents one of the first, if not the first, study of an incident of groundwater contamination in Britain. Analysts became more confident in their determination of the constituents of water. Mineral springs became field sites for testing developments in analytical chemistry, but doubts about the true composition of such waters remained. As early as 1850, Lyon Playfair (1819-1898), at that time the chemist at the School of Mines, provided an excellent description of cation exchange in Chalk groundwaters (Playfair in discussion of Clutterbuck, 1850 p160). However, most of the early papers published by chemists were reports on the species dissolved in groundwater although some speculated on the source of groundwater and how it achieved its composition (Campbell, 1857). The Report of the Royal Commission on Water Supply (1869) shows that, by 1869, a number of large conurbations were supplied by groundwater. Nottingham and parts of Liverpool and Birkenhead relied on wells in the Permo-Triassic sandstones, Sunderland and South Shields on the Permian Magnesian Limestone and Croydon and parts of south east London on the Chalk. Government offices around Westminster together with the fountains in Trafalgar Square were supplied by wells sunk to the Chalk in 1844 (Amos, 1860). Prior to 1870 the Geological Survey of Great Britain made little contribution to the application of geology to water supply. 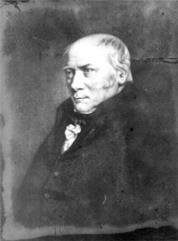 As early as 1850, some 15 years after its formation and under its first Director Henry Thomas de la Beche (1796-1855), complaints were already being made that mapping work should be transferred from North Wales, where no need existed for early geological information, to the metropolitan districts to investigate the deep water-bearing strata (Clutterbuck, 1850). The second Director of the Survey, Roderick Impey Murchison (1792-1871), was a distinguished gentleman geologist, who had little interest in the economic applications of geology (Flett, 1937). However, after Murchison's death in 1871 the number of memoir pages devoted to well sections increased enormously covering some 141 pages in the London Basin Memoir (Whitaker, 1872). Subsequently all memoirs relating to south east England had lists of well sections and information concerning water supply. Eventually these lists came to dominate the geological memoirs such that in 1899 the first Water Supply Memoir, on Sussex, was produced (Whitaker and Reid, 1899). Many of the memoirs were authored by William Whitaker (1836-1925) who had joined the Survey in 1857. Whitaker was an assiduous collector of records of well sections and temporary exposures, but made little use of the data he collected, preparing lists of information rather than using this information to understand hydrogeological processes. Joseph Lucas (1846-1926) joined the Geological Survey in 1867 and spent 9 years mapping in Yorkshire before being forced to resign for a disciplinary offence. In 1874, whilst still with the Survey, he was the first person to use the term "hydrogeology" in its modern context (Lucas, 1874; Mather, 2001) and defined this new subject in a series of papers in the 1870s (e.g., Lucas, 1877a). He used water level data to draw the first British maps showing groundwater contours and described how to carry out a hydrogeological survey (Lucas, 1874 and 1877b). The third geologist in the Survey to make an impact was Charles Eugene de Rance (1847-1906) who joined in 1868, the year after Lucas. On behalf of the Survey he assisted the Rivers Pollution Commission in the preparation of its sixth report on domestic water supply (Rivers Pollution Commission, 1875). The Commissioners concluded that "spring waters" and "deep well waters" were the best sources of supply providing wholesome and palatable water for drinking and cooking. This testimonial provided a boost to the development of groundwater. In the latter part of the 19th century the involvement of the Geological Survey was but one part of a trend which saw the study of the geological aspects of water supply become respectable. Joseph Prestwich was elected President of the Geological Society in 1870 and in 1872 chose as the subject of his Presidential Address "Our Springs and Water-supply and Our Coal-measures and Coal-supply" (Prestwich, 1872). In 1876 his successor John Evans (1823-1908) also chose "Water Supply" as one of the topics of his Presidential Address (Evans, 1876) and in 1898 Whitaker was elected President choosing "Water-supply and Sanitation" as his first topic (Whitaker, 1899). In the years between 1900 and 1938 the Geological Survey published 27 Water Supply Memoirs. These consisted mostly of records of wells and boreholes many of which could be characterised as "unchecked records of wells that have been sunk through ill-defined strata" (Bailey, 1952 p202). These memoirs adopted a descriptive approach and progress compared very unfavourably with that made by the United States Geological Survey during this period. Some workers knew of the pioneering work going on in the USA and Europe and were able to use it to examine groundwater flow in British aquifers (e.g. Baldwin-Wiseman, 1907). Later Norman Savage Boulton (1899-1984), in work which predated that of Theis in the USA, examined the time-variant flow to a pumped well in a confined aquifer. However, to his great disappointment his manuscript was rejected for publication, a sad reflection of the conservative views of his peers in the UK in the early 1930s. In 1901 the origin of alkaline waters in the chalk was explained by the gradual dissolution of sodium carbonate (Fisher, 1901). Later John Clough Thresh (1850-1932) showed that the rocks themselves possessed "the power of softening hard water by substituting sodium salts for those of calcium and magnesium" (Thresh, 1912 p43). Groundwater pollution, particularly outbreaks of typhoid fever resulting from sewage leaking directly into wells, received considerable publicity. However the inherent safety of well waters was recognised and experience showed that "water in slowly percolating through a few feet of compact soil cannot carry with it the microbe causing typhoid fever" (Thresh, 1908 p109). Parliament empowered many water boards to make byelaws for protecting land around wells and in the Margate Act of 1902 the water board was given the power to control drains, closets, cesspools etc. over an area of 1500 yards (1372m) from any well or adit (Thresh and Beale, 1925). During 1932-1934 there was a severe drought in southern and central England. This led to the appointment of an Inland Water Survey Committee in 1935 and the eventual formation of a Water Unit within the Geological Survey in 1937. The state of knowledge in Britain at this time was summarised by the then Director of the Survey, Bernard Smith (1881-1936), in his Cantor lectures to the Society of Arts (Smith, 1935). The outbreak of war in 1939 diverted many staff to water supply work and contributed to a build up of expertise within the Survey which was to prove valuable in postwar Britain. The Water Act of 1945 was the first piece of major legislation affecting water supply in the UK for almost 100 years and was part of the social revolution which followed the end of the Second World War (Downing, 1993). The period between 1945 and 1963 has been described as an era of resource assessment by Downing and Headworth (1990) and the 1945 Act provided the framework within which these assessments were made. Information on the areal distribution of rainfall was already well established in the UK and the work of Penman (1948) enabled evaporation to be estimated. Thus there was the opportunity to assess groundwater resources with far greater accuracy than in the past. Using data from many of the wells tested at this time, Jack Ineson (1917-1970) began to apply methods developed in the USA to heterogeneous British aquifers such as the Chalk. Other staff pioneered the use of down-hole logging techniques adapted from the oil industry, analysed the river/ groundwater interface and synthesised the well records using the data to compile hydrogeological maps. Outside the Survey, Boulton was working on the delayed yield observed when unconfined aquifers are pumped under non-steady state conditions (Boulton, 1954). The potential of artificial recharge began to be taken seriously in the London Basin (Boniface, 1959) and natural radioactivity in groundwaters became an issue (Turner, et al, 1961). Unfortunately the 1945 Water Act did not recognise the close links between groundwater and surface water, which led to difficulties, as aquifer development and river management were the responsibility of different organisations. The reduction in stream flows as a consequence of increasing groundwater development, particularly in the Chalk, became a major factor leading to the Water Resources Act of 1963. This created the Water Resources Board (WRB), to plan water resources development on a national scale, and 29 catchment-based river authorities to control abstraction, prevent pollution, drain land and protect fisheries. The period which ensued from 1963 to 1974 has been called an era of groundwater management by Downing and Headworth (1990). The WRB made three major regional studies of water resources and, in 1973, proposed a national water strategy. Many of the studies carried out relied on the cooperation of the water supply and river authorities some of which began to recruit their own geological staff. In association with Ken Rushton, of Birmingham University, WRB built some of the first electrical analogue and then mathematical models used in Britain. Work carried out by Wantage Research Laboratory, in cooperation with WRB, on the movement of thermonuclear tritium through the unsaturated zone demonstrated that only 10 to 15% of infiltration to the Chalk flows in fissures with the remainder moving through the matrix by a form of piston flow (Smith, et al 1970) This important conclusion had major implications for the understanding of the movement of solutes and contaminant transport. At the University of Bath, John Napier Andrews (1930-1994) studied the release of radon from rock matrices and its entry into groundwater (Andrews and Wood, 1972). He subsequently became a pioneer in the application of noble gases to problems in hydrogeology. The years between 1963 and 1975 were probably the most significant in the history of British hydrogeology. The number of individuals involved in groundwater work, excluding those within consulting engineering companies, rose from less than 20 to around 150. This increasing demand resulted in the setting up of Masters Courses in Hydrogeology at University College London in 1965 and Birmingham University in 1971. The need for a discussion forum led to the formation of the Hydrogeological Group of the Geological Society in 1974 and the Sub-Committee for Hydrogeology of the British National Committee for Geology, serviced by the Royal Society, in 1975. During this period hydrogeology changed from a fringe subject to a mainstream branch of geology in the UK. Since the mid-1970s the development of hydrogeology in Britain has been intimately connected with changes in legislation. By the mid-1970s there was a move to devolve power to the regions rather than concentrate it centrally and the Water Act of 1973 was part of the Government's reorganisation of local government to achieve this aim. The WRB was disbanded and ten regional water authorities created whose areas of operation were defined by river catchment boundaries so that the whole of the water cycle in a particular area, including responsibility for groundwater, was under the control of a single body. A further restructuring took place in 1989 when the ten water authorities were privatised to become water supply and sewage utility companies with their regulatory function transferred to a new body, the National Rivers Authority. In 1996 the latter became part of the new Environment Agency. The greater emphasis on quality from 1975 onwards prompted Downing and Headworth (1990) to define this period as an era of groundwater quality. From the mid-1970s onwards more attention began to be paid to groundwater in Scotland and Northern Ireland. The water industry in Scotland was not privatised in the same way as that in England and Wales and is now the responsibility of a multi-functional authority - Scottish Water. Since 1996 environmental regulation, including groundwater protection has been the responsibility of the Scottish Environmental Protection Agency. In Northern Ireland responsibilities for water supply and regulation are vested in the Department of the Environment for Northern Ireland. One major change over the last 30 years has been the diversification of the scope of the work now carried out by the hydrogeological community in Britain. The traditional fields of water supply and water quality continue to dominate but hydrogeologists have also made major contributions to studies on the disposal of radioactive wastes, geothermal energy, rising groundwater levels, mineralisation and climate change. Overall at the beginning of the 21st century the hydrogeological community in Britain is in good heart. Legislation to control groundwater abstraction and contamination, and the expertise necessary to investigate quantity and quality, are in place to meet the challenges which the future will undoubtedly bring. Amos, C. E. 1860. On the government waterworks in Trafalgar Square. Proceedings of the Institution of Civil Engineers, 19, 21-52. Andrews, J. N. and Wood. D. F. 1972. Mechanism of radon release into rock matrices and entry into groundwaters. Transactions of the Institute of Mining and Metallurgy, B81, 198-209. Bailey, E. B. 1952. Geological Survey of Great Britain. Thomas Murby and Co., London. 278p. Baldwin-Wiseman, W. R. 1907. The influence of pressure and porosity on the motion of sub-surface water. Quarterly Journal of the Geological Society of London, 63, 80-105. Bland, W. 1832. Letter from William Bland, Jun. Esq., of New Place in the Parish of Hartlip, near Sittingbourne, Kent, to Dr Buckland; recording a series of observations made by himself, on the rise and fall of water in wells in the County of Kent. Philosophical Magazine and Annals of Philosophy, New Series, 11, 88-96. Boniface, E. S. 1959. Some experiments in artificial recharge in the lower Lee Valley. Proceedings of the Institution of Civil Engineers, 14, 325-338. Boulton, N. S. 1954. The drawdown of the water table under non-steady conditions near a pumped well in an unconsolidated formation. Proceedings of the Institution of Civil Engineers, 3, 564-579. Buckland, Rev. W. 1836. Geology and mineralogy considered with reference to natural theology. Bridgewater Treatise 6, William Pickering, London. Campbell, D. 1857. On the source of the water of the deep wells in the Chalk under London. Quarterly Journal of the Chemical Society, 9, 21-27. Clutterbuck, J. C. 1842. Observations on the periodical drainage and replenishment of the subterraneous reservoir in the Chalk Basin of London. Proceedings of the Institution of Civil Engineers, 2, 155-160. Clutterbuck, J. C. 1843. Observations on the periodical drainage and replenishment of the subterraneous reservoir in the Chalk basin of London - continuation of the paper read at the Institution, May 31st 1842. Proceedings of the Institution of Civil Engineers, 3, 156-165. Clutterbuck, J. C. 1850. On the periodical alternations, and progressive permanent depression, of the Chalk water level under London. Proceedings of the Institution of Civil Engineers, 9, 151-180. Conybeare, W.D. and Phillips, W. 1822. Outlines of the geology of England and Wales, with an introductory compendium of the general principles of that science, and comparative views of the structure of foreign countries. Part 1. William Phillips, London. Downing, R. A. 1993. Groundwater resources, their development and management in the UK: an historical perspective. Quarterly Journal of Engineering Geology, 26, 335-358. Downing, R. A. and Headworth, H. G. 1990. The hydrogeology of the Chalk in the UK; the evolution of our understanding. In: Chalk. Thomas Telford, London, 555-570. Evans, J. 1876. Geological Society. Deep-sea deposits. Artic researches. Climatal changes. Geological progress. Water-supply. Quarterly Journal of the Geological Society of London, 32, 91-121. Farey, J. 1807. On the means of obtaining water. Monthly Magazine and British Register, 23, 211-212. Farey, J. 1822. On overflowing wells and boreholes. Monthly Magazine and British Register, 54, 35-37. Farey, J. 1823. On artesian wells and boreholes. Monthly Magazine and British Register, 56, 309. Flett, J, S. 1937. The first hundred years of the Geological Survey of Great Britain. HMSO, London. Harrison, J. H. 1891. On the subterranean water in the chalk formation of the Upper Thames, and its relation to the supply of London. Proceedings of the Institution of Civil Engineers, 105, 2-25. Lucas, J. 1874. Horizontal Wells. A new application of geological principles to effect the solution of the problem of supplying London with pure water. Edward Stanford, London. Lucas, J. 1877a. Hydrogeology: one of the developments of modern practical geology. Transactions of the Institution of Surveyors, 9, 153-184. Lucas, J. 1877b. Hydrogeological Survey, Sheet 1. Edward Stanford, London. Mather, J. D. 2001. Joseph Lucas and the term "hydrogeology". Hydrogeology Journal, 9, 413-415. Mather, J. D. (ed) 2004. 200 Years of British Hydrogeology. Geological Society, London, Special Publications, 225. Mylne, R. W. 1840. On the supply of water from artesian wells in the London Basin, with an account by W. C. Mylne of the sinking of the well at the reservoir of the New River Company, in the Hampstead Road. Transactions of the Institution of Civil Engineers, 3, 229-244. Penman, H. L. 1948. Natural evaporation from open water, bare soil and grass. Proceedings of the Royal Society, 193, 120-146. Phillips, W. 1818. Selection of facts from the best authorities, arranged so as to form an outline of the geology of England and Wales. William Phillips, London. Prestwich, J. 1851. A geological inquiry respecting the water-bearing strata of the country around London, with reference especially to the water-supply of the metropolis;and including some remarks on springs. Van Vorst, London. Prestwich, J. 1872. Our springs and water-supply; our coal measures and coal-supply. Quarterly Journal of the Geological Society, 28, 53-90. Rivers Pollution Commission, 1875. Sixth Report of the Commissioners appointed in 1868 to inquire into the best means of preventing the pollution of rivers. The domestic water supply of Great Britain. HMSO, London. Rudwick, M. J. S. 1963. The foundation of the Geological Society of London: its scheme for co-operative research and its struggle for independence. British Journal for the History of Science, 1, 325- 355. Smith, B. 1935. Geological aspects of underground water supplies. Cantor Lectures November/December, 1935. Royal Society of Arts, London. 55p. Smith, D. B., Wearn, P. L., Richards, H. J. and Rowe, P. C. 1970. Water movement in the unsaturated zone of high and low permeability strata using natural tritium. In: Isotope Hydrology 1970, International Atomic Energy Authority, Vienna, 73-87. Thresh, J. C. 1908. The detection of pollution in underground waters, and methods of tracing the source thereof. Transactions British Association Waterworks Engineers, 12, 108-137. Thresh, J. C. 1912. The alkaline waters of the London Basin. Chemical News, 106, 25-27 and 40-44. Thresh, J. C. and Beale, J. F. 1925. The Examination of Waters and Water Supplies. 3rd Edition. J & A Churchill, London. Turner, R. C., Radley, J. M. and Mayneord, W. V. 1961. Naturally occuring alpha-activity of drinking waters. Nature, 189, 348-352. Whitaker, W. 1872. The geology of the London Basin. Part 1 - The Chalk and the Eocene Beds of the Southern and Western tracts. Memoirs of the Geological Survey of England and Wales, 4. HMSO, London. Whitaker, W. 1899. Anniversary address of the President. Water-supply and sanitation. Quarterly Journal of the Geological Society of London, 55, 53-83. Whitaker, W. and Reid, C. 1899. The water supply of Sussex from underground sources. Memoirs of the Geological Survey of England and Wales. HMSO, London.